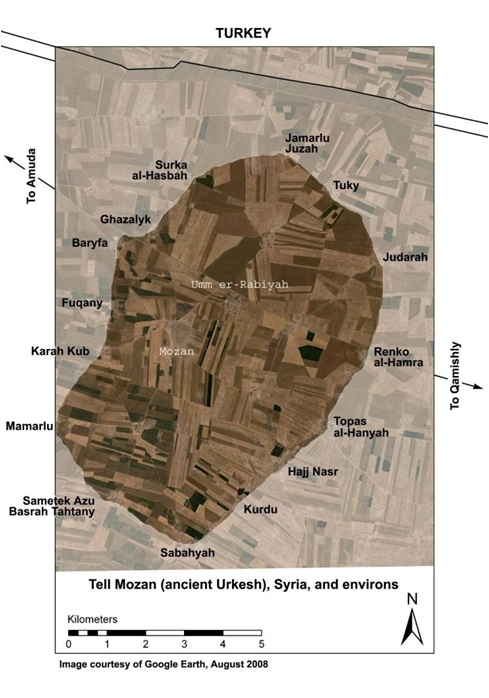 For the purposes of our project, we have delimited the Urkesh hinterland to an area of 54 square kilometers, which includes 22 villages. The criteria are grounded on practical reasons. In other words, the definition of the external limit of the zone is not dictated by morphological or historical data. This is an extension that seems reasonable in terms of protecting the site's landscape and also in terms of the inclusion of the communities of the various villages. The functionality of the "park system" will emerge in future times, when the conditions will consent a legal articulation at a national level.